General Motors has filed an application to register “Bolt EUV” as a trademark with the United States Patent and Trademark Office (USPTO), GM Authority has discovered. The automaker’s April 9th, 2019 application is assigned serial number 88376963 and specifies that it will be used in conjunction with the following types of goods and services: Motor land vehicles, namely, automobiles. It would appear that General Motors is planning a new vehicle called the Bolt EUV, and the development is rather intriguing. The biggest question is what the EUV name is all about, and we will venture to guess that it’s an acronym for Electric Utility Vehicle. If we turn out to be correct, and EUV is short for Electric Utility Vehicle, then it could end up being the name of the upcoming Chevrolet EV. 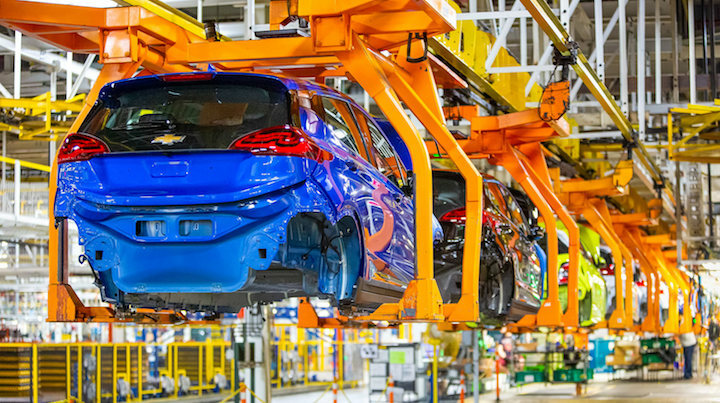 GM confirmed plans for a future Chevrolet EV in March when announcing a $300 million investment for its Lake Orion plant in Michigan. The facility currently builds the Chevrolet Sonic, Chevrolet Bolt EV, and the aforementioned Cruise AV prototypes. In fact, it’s currently the only facility in the world that produces autonomous vehicles on a production line. Currently, the only thing we know for sure about this future Chevy EV is that it will share the GM BEV2 platform that underpins the current Bolt EV. 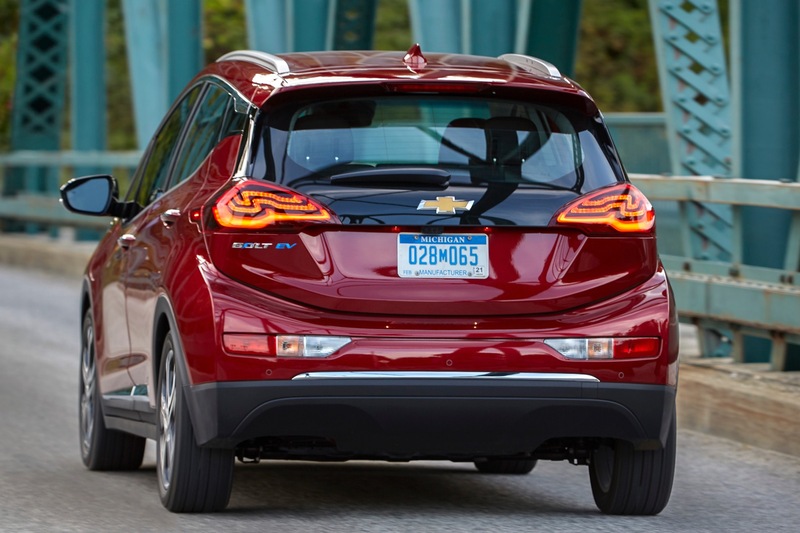 However, we have heard that the future Chevrolet EV in question will be a size class larger than the current Bolt EV itself, classified by GM as a small crossover. That would make the future Chevy EV roughly the size of the current Chevrolet Equinox crossover. It’s worth noting that GM’s EV strategy involves introducing 20 all-electric models by the year 2023. 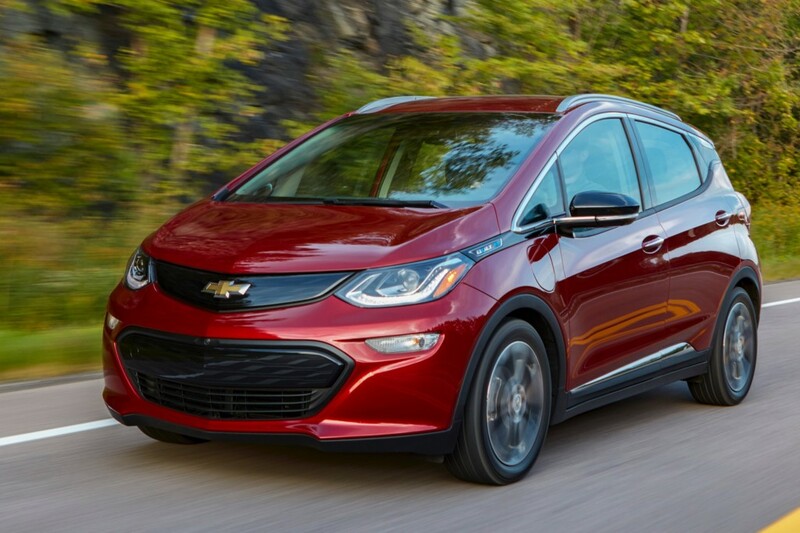 In addition, the introduction of a hypothetical Chevy Bolt EUV crossover could create a family of Chevrolet electric vehicles under the Bolt brand. Subscribe to GM Authority (it’s free!) as we follow this developing story, for Chevy Bolt news, Chevrolet news, and for 24/7 GM news coverage. Thank you for this. Very interesting indeed. Crossover type of Bolt has been confirmed. It could mean absolutely nothing as General Motors applies for licensing names all the time and it does not mean a new product is imminent. The possibility of the filing meaning “absolutely nothing” is minimal, at best. 1. There is no reason for GM to go through the very expensive and laborious trademark application process without having a purpose for the name. 2. The practice of filing trademark applications for names for the sole purpose of “protecting them” has been over for about the past decade. Nowadays, in order to be granted the rights to a trademark, an applicant must prove to the USPTO that it has an actual product or service with the name being filed for. I won’t be pleased until we get an all-electric Buick sports car call the AC/DC, only available in Black and metallic Black. But I guess a Bolt UV is a great idea and a needed vehicle in the GM portfolio. Gas prices are going up(at least here in Florida) and people still want SUVs, so electric Crossovers are exactly what the market will need in the near future. I hope that a larger electric SUV is next, mostly because that’s a currently empty segment. Owning a large SUV without having to pay an arm and a leg for gas would be awesome, and the towing ratings would skyrocket. This is a no-brainer. All they need to do is raise it up a couple of inches, add some plastic around the wheel-wells, and make awd an option. There is already dead-space between the rear wheels for another motor. yes, what they should have done with the Volt as well – so I did the lift to ours anyway. I would have expected, by this time, that there would have been an EV “skateboard” like the hydrogen skateboard that was touted a decade ago as the basic underpinnings for a whole range of vehicles. The problem with a true skateboard design is it’s basically body on frame. It’s great in concept, but expensive to implement unless you have really high volumes (e.g. trucks). EUV – Electric Utility Vehicle – trademarked by GM. The picture that comes to mind when I hear Electric Utility and Vehicle next to each other: the old dilapidated trucks of PG&E, used by their service folks. Nice Marketing GM! But again, that’s just me. Electric Utility owns a lot of fossil fueled Vehicles, although some of the Electric Utility companies are buying electric vehicles for their fleet. Make it dual motor, widen the stance, and bump the battery capacity up to around 75KWh. Offer a performance suspension option with MRC. It’s time to start poaching Tesla buyers.